I’ve recently purchased a Pixy2 to try out. I also have an mBot v1.1 and will look at connecting the two once I am a bit more familiar with the Pixy2. However, I am interested in whether anyone else has successfully connected the two already. How to make mBot follow objects with Pixy CMUcam5 Image Sensor. Would connection between Pixy2 and mBot follow a similar approach? No replies but I’ve been able to work this out. I’ve used the SPI cable to connect the Pixy2 to an mBot. 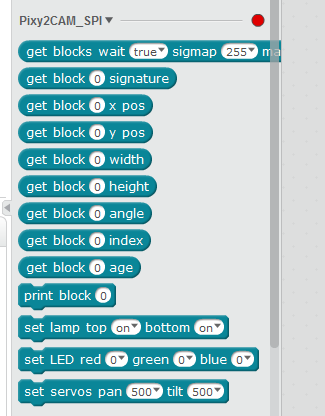 I wanted my kids to be able to use the mBlock interface to code for the Pixy2. I found that an extension has been provided for Pixy1 which, although not compatible, is a useful starter on how to build them. Using the following guide (http://download.makeblock.com/mblock/mblock_extension_guide.pdf), we’ve started to create an extension for Pixy2 functions. We’ve got a couple of functions working as blocks in mBlock (e.g. getBlocks and setLamp) so will publish once a few more are ready. Keep us informed on how this project progresses! 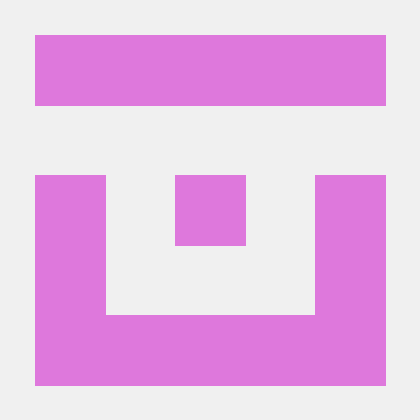 Contribute to grantgunner/mblock-pixy2 development by creating an account on GitHub. If this doesn’t work for some reason, you can download the zip file from GitHub and upload directly via the ‘Add Extension’ button. We’ve tried this using a Makeblock mBot and a generic Arduino Uno. It makes the Pixy2 features more accessible for junior coders who are yet to make the leap to text-based programming. I haven’t implemented the full API as we only need a subset but you can let me know if you need more for your project and I can try to help.